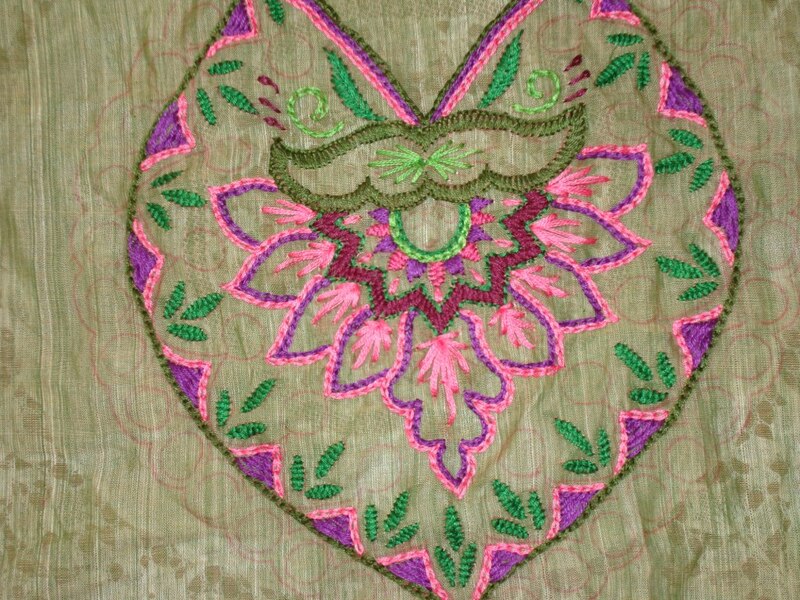 The tailor did a good job on this tunic.I was lucky to find the same colour of the yoke fabric for the salwar[ Indian pants]. 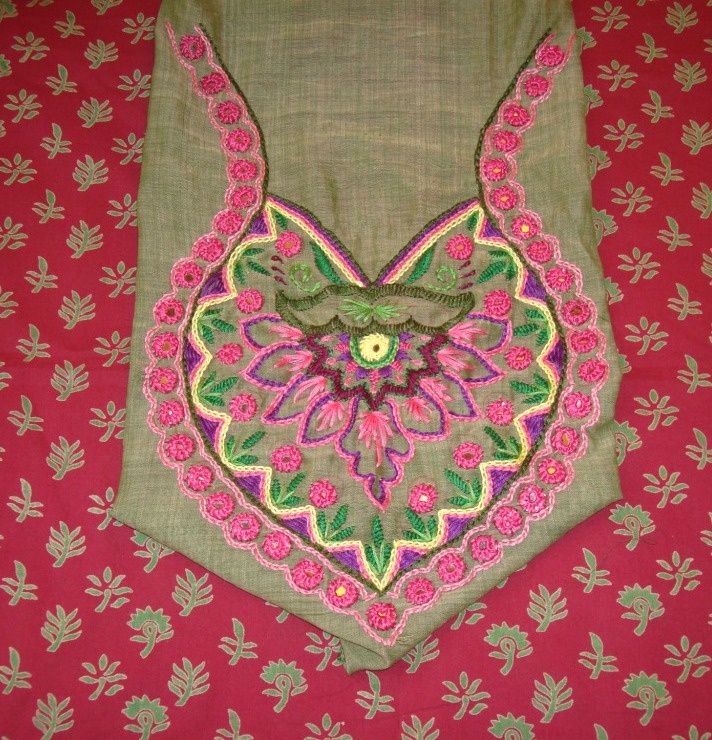 The tunic has very subtle appeal even with all those mirrors, may be because of the colours. 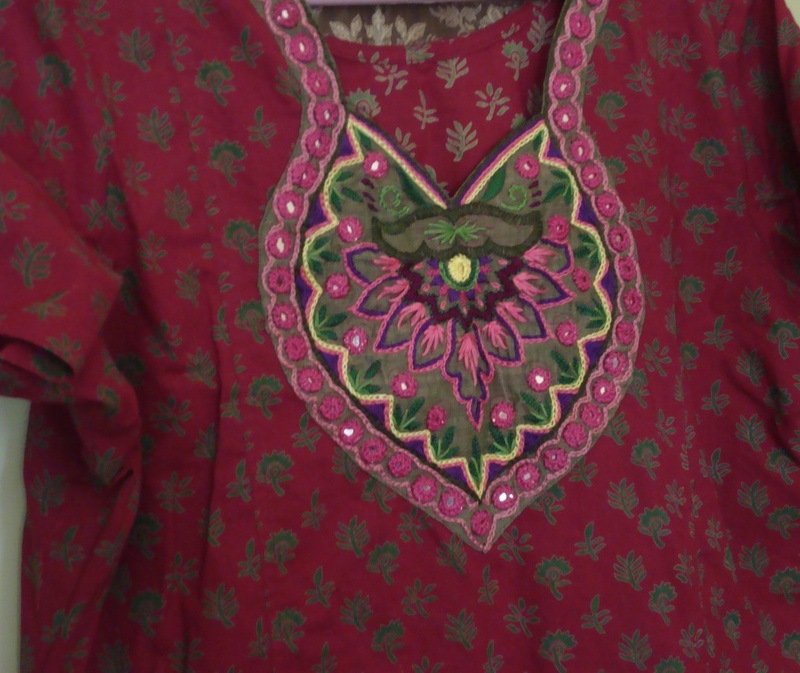 The embroidery details of the mirrorwork yoke of the dark pink tunic. The mirrors and the completed yoke on my next post. The next colour is yellow. 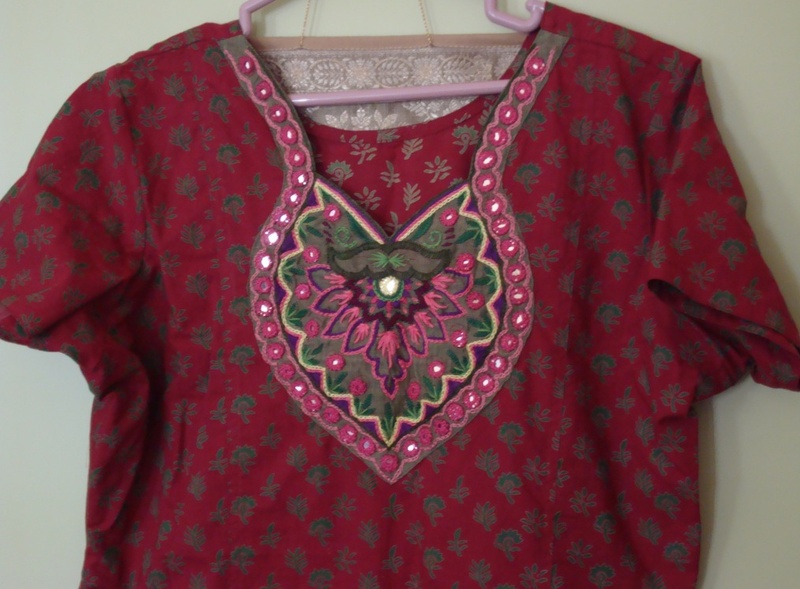 This is the pattern I had drawn for the yoke of this dark pink tunic. As seen, I have already progressed working on this pattern. I started with the dark maroon thread, then worked with violet colour,after that dark green and moved on to medium green. I am fond of this shape of yoke, wanted to do it for a long time. 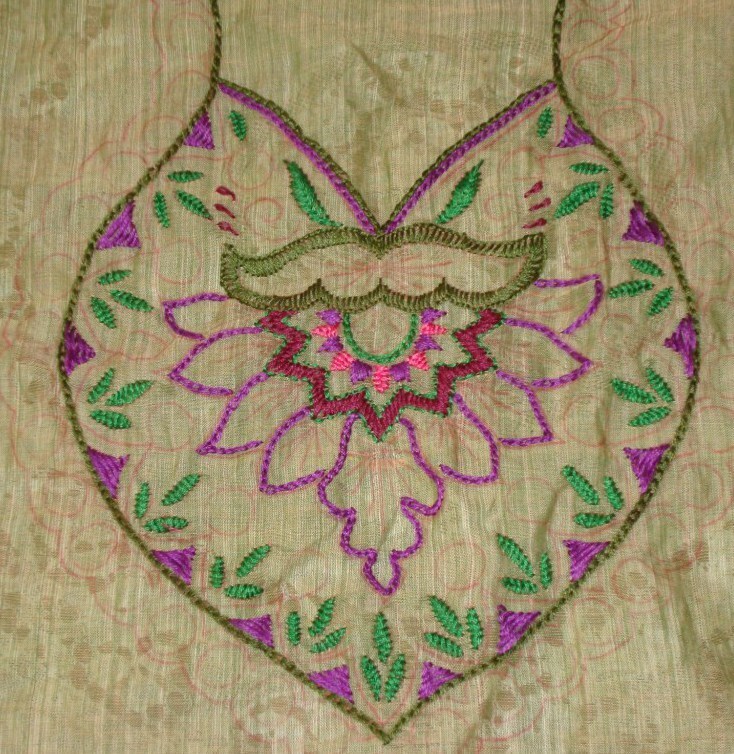 The embroidery pattern for this yoke came from the inspiration to do mirror work and a pattern to suit the mirrors. 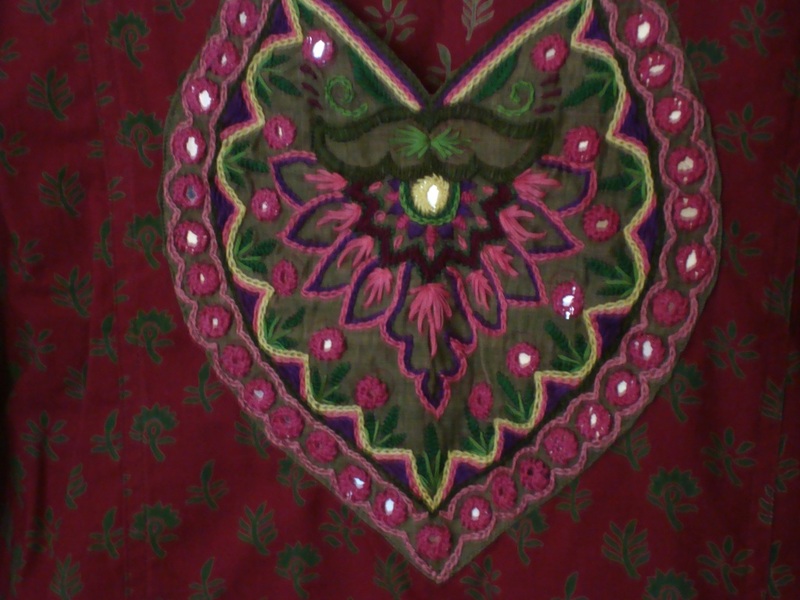 The first plan was to have mirror work border, and a floral pattern which will accommodate mirrors on it. 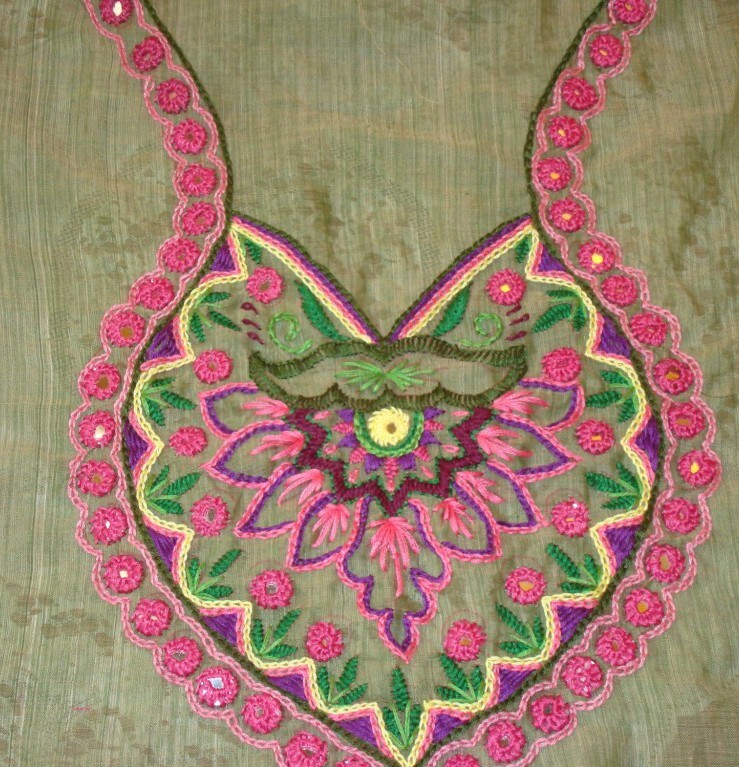 A greyish green fabric was chosen for the yoke. 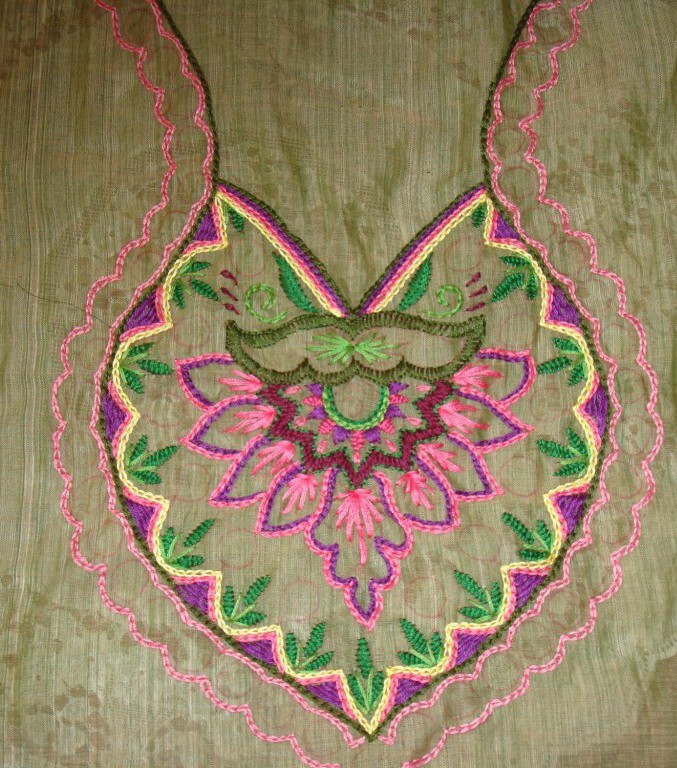 The embroidery was worked with three strands of cotton skeins. 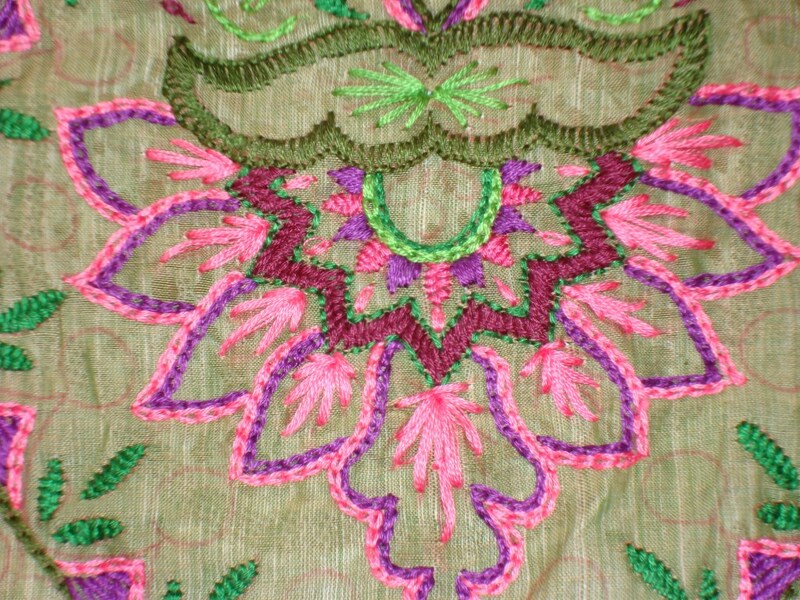 The stitches used were- chain stitch, herringbone stitch, straight stitch, detached chain stitch, and mirror work. I did not take pictures from the beginning of the embroidery. The details on my next post.